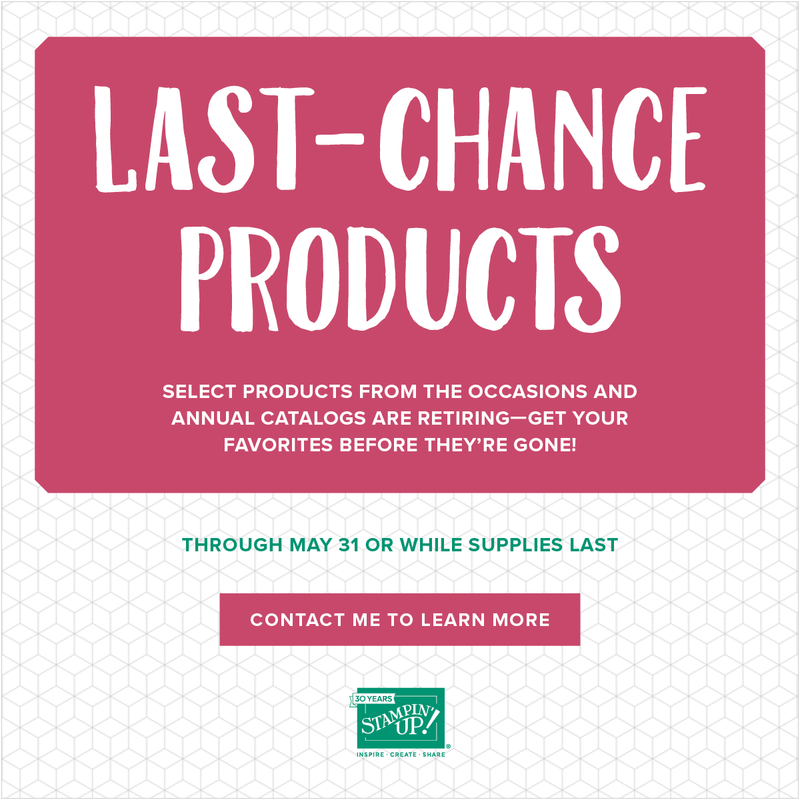 Sandi's Creative Connection: GET THEM BEFORE THEY ARE GONE! better get them now. These items are while supplies last so be quick! CLICK HERE for the Occasions Retirement List. CLICK HERE for the Annual Catalog Retirement List. Remember these are while the supplies last or until May 31st. Send me an email if you want to order something or CLICK HERE go to my online store.